Don’t worry; we are always here to help you. A dental emergency can take many forms, but no matter how distressing it might be it’s reassuring to know that you’re not alone and that expert, professional help is on hand. At Carisbrook Dental our emergency dentists are always just a phone call away. The majority of the dental emergencies we deal with involve lost fillings, displaced crowns, unbearable toothache or painful gum problems and abscesses. They can also include trauma such as a broken tooth or displaced tooth, or concerns regarding bleeding from a routine extraction. Frequently we can relieve your worries simply by providing professional advice and reassurance over the phone, but where speedy action is demanded we are able to arrange a priority same-day or next-day appointment, or if necessary, we also offer emergency out-of-hours dental appointments and will gladly open our surgery to treat you with the minimum of delay. If you have a dental emergency our Emergency Telephone Number is: 0161 951 7295. This phone is accessible day and night. Some expert advice on the most frequent ‘emergencies’ we face. A broken or displaced tooth. Contact us as soon as possible. 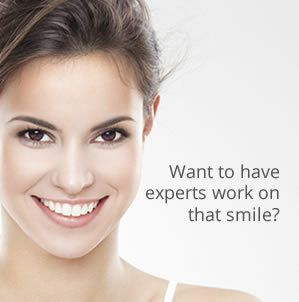 We will advise on the immediate action you should take and arrange rapid treatment. Lost fillings. Generally this is not a serious emergency but undue delays can result in further damage requiring complex and expensive dental treatment including root canal work. Call us for advice. As a first stage treatment to relieve discomfort and pain, we can insert a temporary filling. Lost crowns. Do not attempt to re-attach the crown yourself but arrange an early appointment where we can generally fix the problem in less than one hour. Abscesses and gum swelling. Not only are they painful but they can lead to potentially serious health risks. Do not be tempted to put it off but contact us for an urgent examination. The rapid provision of antibiotics can often quickly alleviate both the pain and the problem. Toothache. So often patients try to put off the problem until it is too painful to ignore. If you experience toothache contact us immediately when the treatment required is very often minimal. Leaving it only leads to bigger problems, more involved procedures … and higher costs. Bleeding after an extraction. The things you should not do are to rinse your mouth or take aspirin. Biting on a clean handkerchief for a minute or so usually stems the bleeding but if it persists then call us. We will take a look at it and if necessary plug the wound. First and foremost – don’t ignore it! It probably won’t get better by itself. The sooner you contact us the quicker we can advise you on the correct procedure or arrange to see you in our surgery. Prompt action means it is usually easier and less costly to resolve.